Former Commissioner West Joeli Cawaki will continue to provide better service to the people of the Western Division without any minor restrictions. 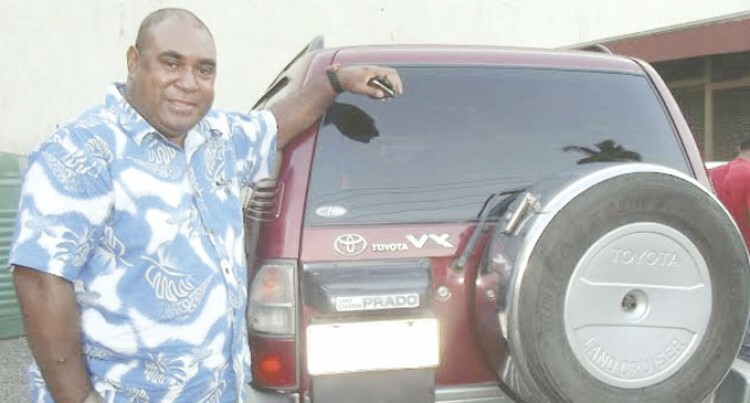 Mr Cawaki, a candidate for FijiFirst who secured a seat in Parliament, said they will need to put words into action now. “There are sometimes when I was the Commissioner West where I would feel frustrated because of the bureaucracy; where things have been taken up and the Permanent Secretaries tend to pull their ranks and say that I am the permanent secretary you’re just the divisional commissioner. “But now that time is gone and I know what the divisional commissioner feels and being up there we will be able to dictate down to the permanent secretary this is the way to do it in the divisional level, so that will cut down on the red tapes and bureaucracy,” he said. He said that they needed to streamline and make decisions there and then. “Gone are the days where we had to have meetings after meetings, now is the time to make decisions and implement them straight away,” Mr Cawaki said. The Deuba native was not surprised to have secured a seat in parliament. “I was looking forward to the win, for all that I have done to the Western Division and also the campaign that we did, it was the back to back visits to villages and settlements and the message that we kept getting through was that we need to carry on with what we have done for the last eight years,” he said. He thanked his 3394 supporters for voting for him and his family for the endless support. “The situation had stated that I do have the ability to serve the people and I will continue to serve the people,” Mr Cawaki said. He said the campaign was worthwhile and he thanked the people who assisted him financially. Mr Cawaki said developments that were to take place in the Western Division would include building new roads and also building two or three Vaturu size dams. “These developments will address water problems that we are facing around the Western Division. There is a lot of water around but our problem is to be able to capture that water and make good dams so we can supply water to the people,” he said. The 47-year-old said: “Developments for the West will depend on the budget that has been set aside for this year; the task now is to see that whatever budget that has been set aside for this year will be implemented where no leftover funds will be returned. “So for this year we will see that the budget that has been set for this will be utilised accordingly, come December no funds is to be returned to the government.